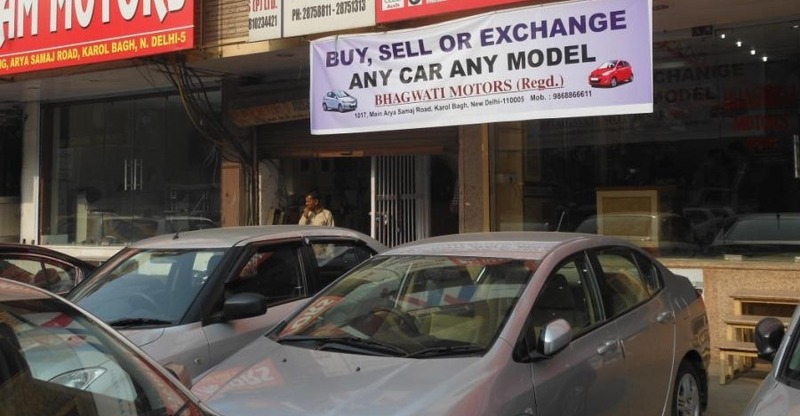 Used car are fast becoming popular in India due to the value tag they carry and sheer variety available in the market today. While multiple platforms do help you shortlist the final model, are you aware of what all needs to be checked before you make the final payment? Lets have a look. Make sure you inspect the vehicle in daylight or under proper lighting inside the showroom. This will allow you to catch body line imperfection or different paint shades across the panels. These factors will mean only one thing ; the car has been through an accidental repair job. Do use your mobile’s torch to have a look under the body for damages. Repeat the same exercise on the inside of the car. It takes about ten minutes but will not throw up unwanted surprises at a later stage. Most car owners prefer to opt for services through authorised centres and thanks to automated back-end, no matter where the car was serviced, you can have access to the complete history details at the click of a mouse. Stay away from cars that have not been serviced as per the recommended schedule. This factor can also lead to the warranty being cancelled. Further, keep an eye for accidental repairs, if any. While minor ones are not of a concern, any major repair can leave a lifelong side effect on the car. It is always recommended to take along an automotive expert to inspect the car. It can be your close friend who is passionate and nuts about cars or even a technician from your neighbourhood garage. Admit it, while we do love cars, noticing hidden problems in an automobile isn’t our forte. Let them spend time with the car, in and out, and only when you get a green signal is when you should go ahead with the deal. Most modern cars come with a long list of features and electrical items. Take out a while to make sure all these are working properly. The check list should include everything from air-con’s effectiveness to parking sensors / camera, all four power windows, all lights, audio system, steering controls (if any) et al. Check for any warning lights in the speedometer when the car’s engine is running. Post purchase repairs can be very costly especially if the car isn’t in warranty any more. Do not hesitate to take the final shortlisted car for a spin multiple times, if required. The test drive session should be ample, a minimum of 10-15km across various traffic and road conditions. During this drive, try to judge the suspension abilities, steering response and the overall behaviour of the car. Make sure the car isn’t overheating or the air-con isn’t tripping off. Drive the car normally like you would on a daily basis. If the seller, or the used car agent is traveling along, let him sit quietly and not distract you by talking non-stop – this way you might skip over an essential parameter. Negotiations apart, make sure you aren’t paying a single penny over the right market price of the used car. But how do you judge this in the first place? Use free online evaluation tools to get an understanding of the car’s market value. Next, pose as a dummy seller and call up a few used car agents to get a fair idea on the pricing. As a thumb rule, most cars depreciate as much as 40-50% in the first three years. Every single change in year and ownership and reduces the value of a car. After market modifications will also effect the value of a used car. With all these steps in mind, we are sure you will be able make a better and most importantly, a wiser used car purchase experience.